Vivo V9 has gone on sale in India via offline stores today, April 2. It will become available via Amazon, Flipkart, Paytm, and Vivo E-Store from Thursday, April 5, the company has confirmed to Gadgets 360. To recall, at the launch, Vivo had said the smartphone will be available from online and offline stores from April 2, however, that turned out not to be the case. Pre-bookings are still open via online stores. 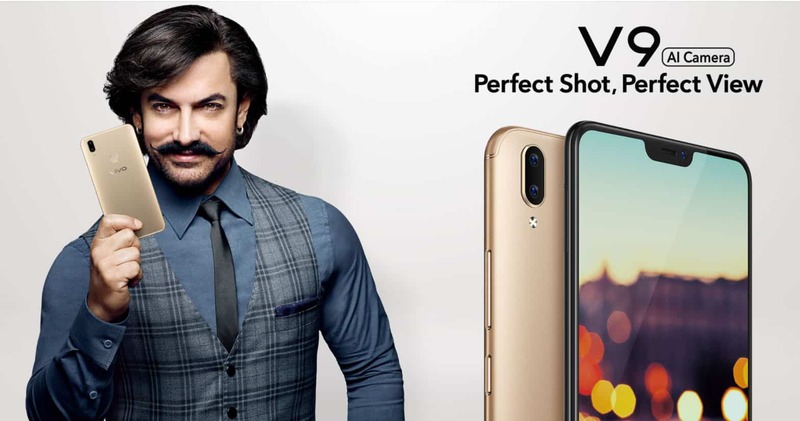 The Vivo V9 Price in India is set at Rs. 22,990. It will be available only in one configuration only 4GB RAM and 64GB internal storage. Those who pre-book the Vivo V9 will get one-time screen replacement warranty, an additional discount of Rs. 2,000, and no-cost EMIs. The dual-SIM (Micro+Nano) Vivo V9 runs Funtouch OS 4.0 based on Android 8.1 Oreo, and sports a 6.3-inch full-HD IPS FullView Display with an 19:9 aspect ratio. It features bezels of 1.85mm on top, said to be 76 percent less than the previous generation FullView display 1.75mm displays on the side, said to be 19 percent less, and 5.9mm bezels at the bottom said to be 29 percent less. It delivers a 90 percent screen-to-body ratio. Vivo is touting the AI-based Face Beautify app for a selfie and video call beautification, and also ‘AR Stickers’, apart from a ‘Portrait’ lighting effect and Bokeh depth-of-field effect. The V9 also comes with Face Access 2.0, which will help unlock the phone using face recognition. It also works for App Lock. The Vivo V9 comes with 64GB of inbuilt storage, expandable via a dedicated microSD card slot (up to 256GB). Connectivity options include 4G VoLTE, dual-band Wi-Fi (2.4GHz and 5GHz), Bluetooth v4.2, GPS/ A-GPS, a 3.5mm headphone jack, and a Micro-USB port. Sensors onboard include an accelerometer, ambient light sensor, and a proximity sensor. It has dimensions of 154.81×75.03×7.99mm and weighs 150 grams. It runs on a 3260mAh battery, with no fast charging support. The smartphone will come in three color options – Champagne Gold, Pearl Black, and Sapphire Blue.